The Monday, Jan. 22, fire was contained to a shop and did not spread to an adacent home. 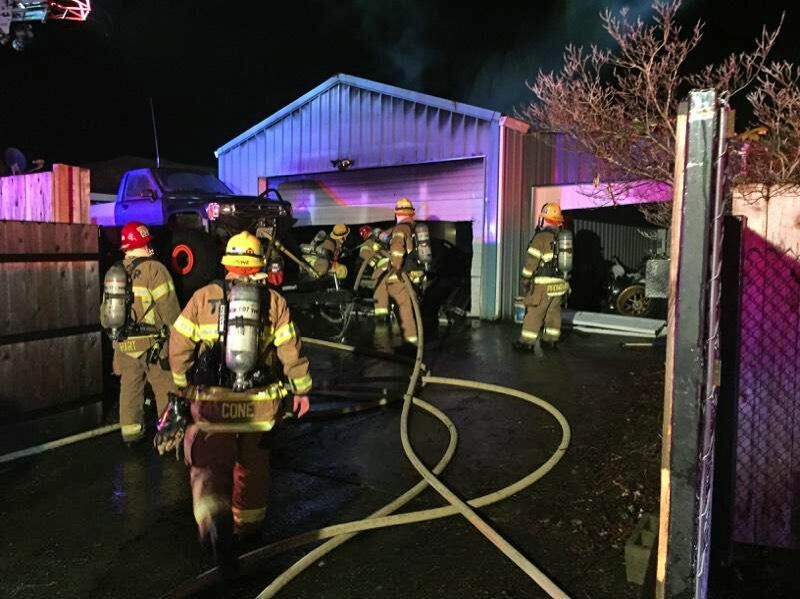 Firefighters responded at around 1 a.m. Monday, Jan. 22, to a shop fire on the 1700 block of Southwest Rock Court in Aloha. Crews from Tualatin Valley Fire & Rescue's Aloha Fire Station No. 62 arrived to find the shop fully in flames, with the fire threatening a nearby residence. Hillsboro Fire & Rescue also responded. The blaze was contained to the shop and did not spread. No injuries were reported. The cause of the fire has yet to be determined. No damage estimates are available.